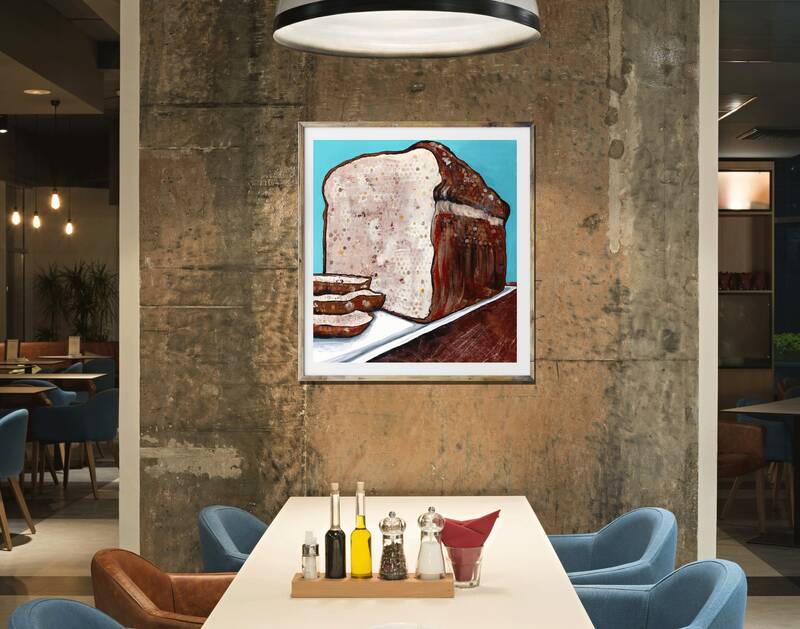 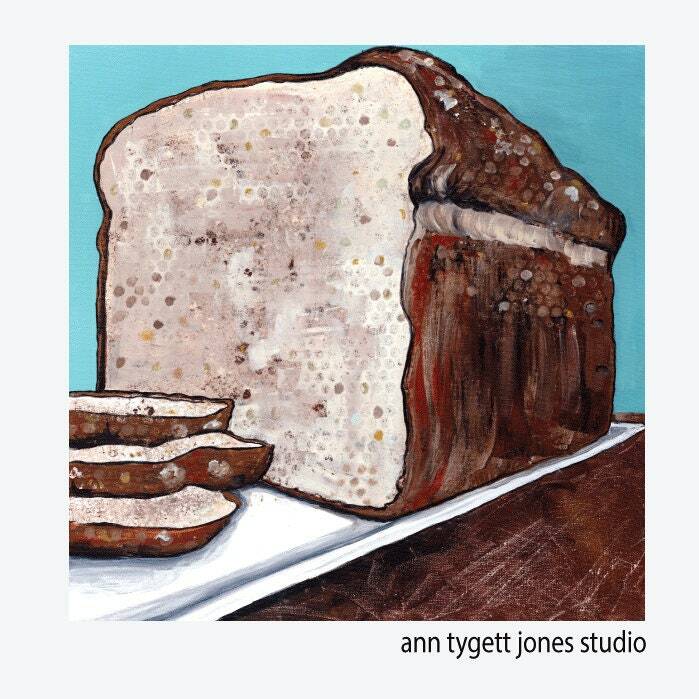 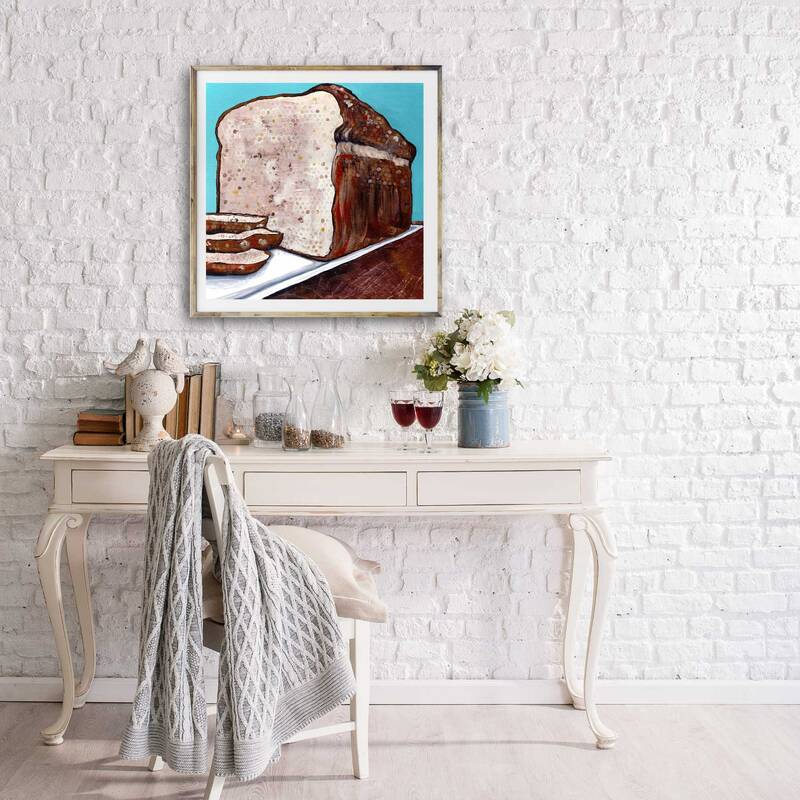 BREAD ALONE: Giclee print of an original zcrylic painting of a sliced loaf of bread. 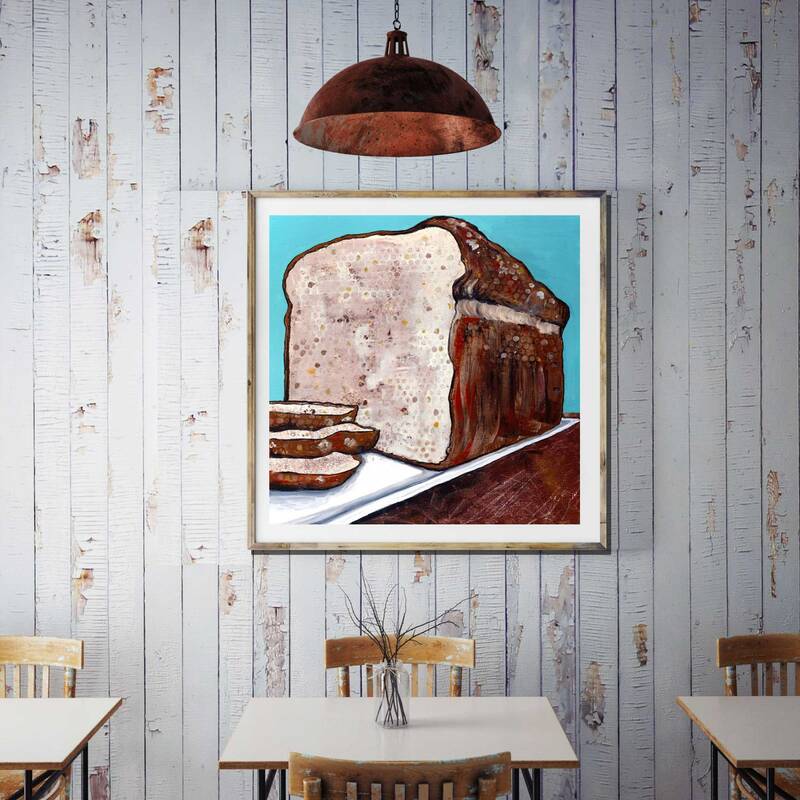 A loaf of bread sits a top a white platter on a rustic, wooden table top with a slate blue back drop. 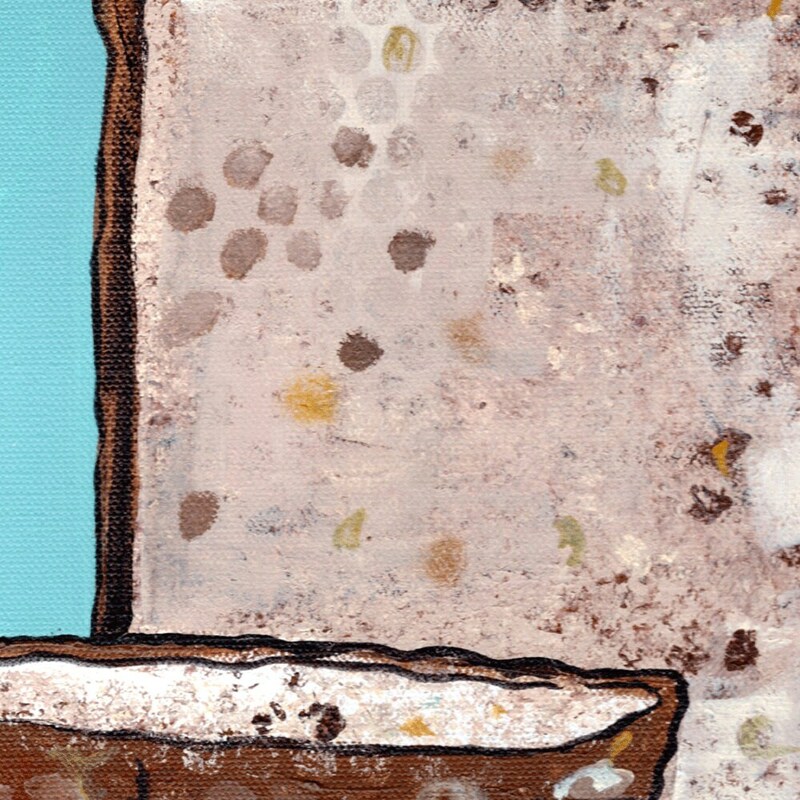 Patterns and textures against a true blue backdrop bring this simple subject to life in this image. 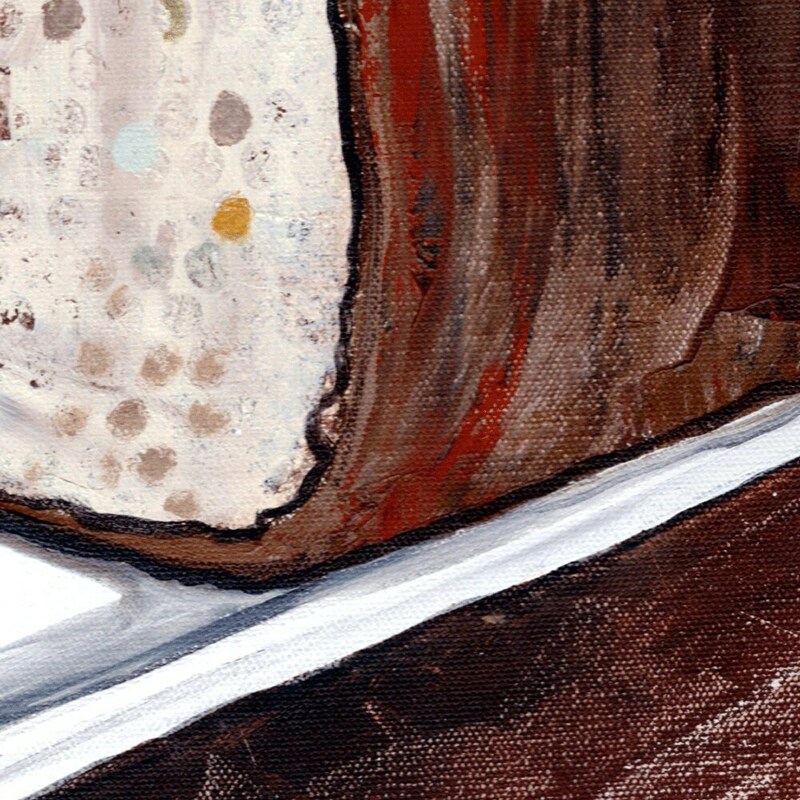 This painting was directly inspired by Matthew 4:4 "Man shall not live by bread alone, but by every work that comes from the mouth of God."